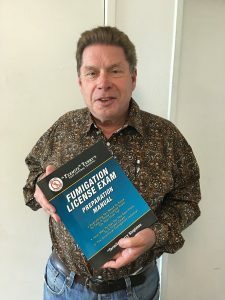 Fumigator’s License Exam On Your First Try! Are you looking to get into the structural fumigation industry? 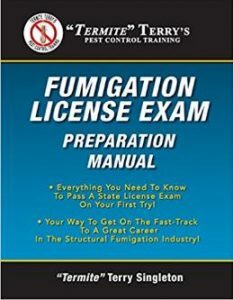 If you need to pass an exam to get your fumigator’s license, then this is the book for you! • Valuable information about termites, wood destroying beetles, carpenter ants, carpenter bees, cockroaches, stored food pests, fabric pests and bed bugs. Includes photos! • Laws and Regulations. Includes excerpts from California’s Pest Control Act! • Plus bonus practice exams and answer keys for each section of study!